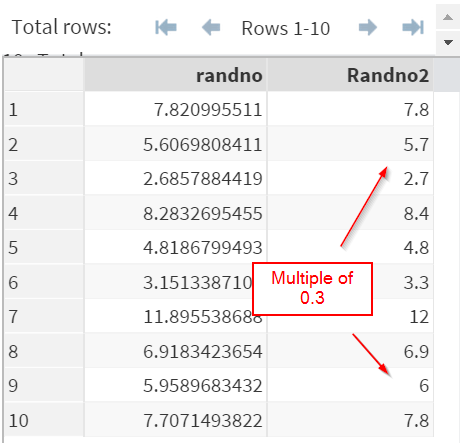 You can use the ROUND function to round numeric values in SAS. 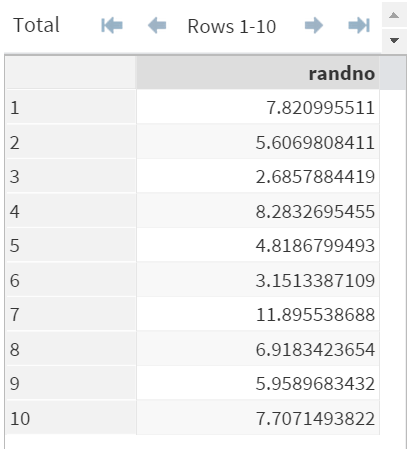 The NUMBERS data set above contains a list of random numbers. 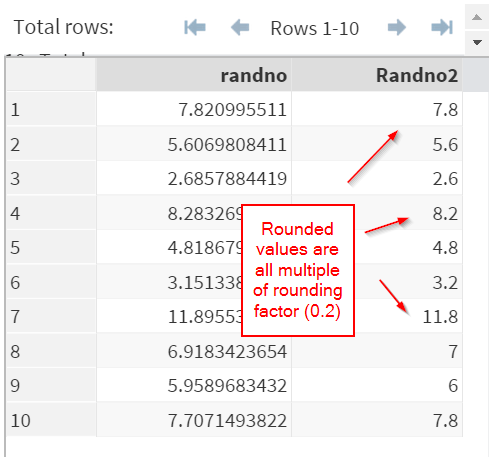 Now, let's take a look at an example of the ROUND function with a rounding factor of 0.2 (2nd parameter). Wanna make a guess why the number is rounded the way it is? The first value, 7.8209 is rounded to 7.8, which makes sense. However, the third value, 2.6857 is rounded to 2.6. 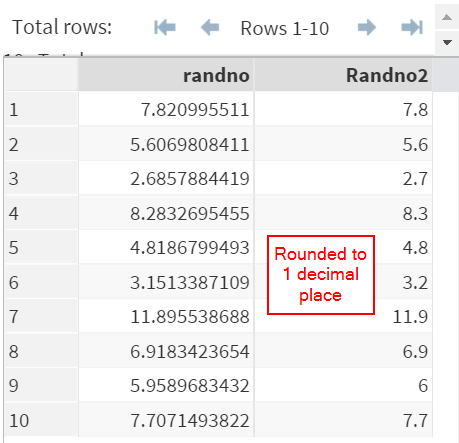 In fact, the ROUND function rounds the numbers to the nearest multiple of the rounding factor. In our example, the rounding factor is 0.2. 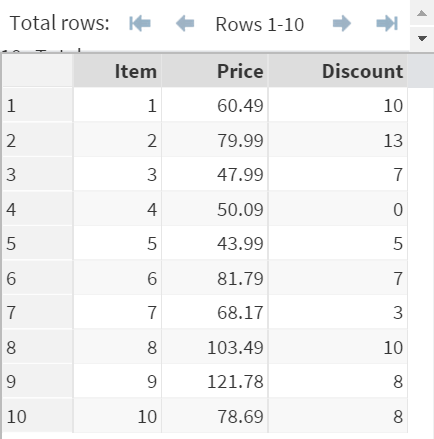 As a result, all of the rounded values are a multiple of 0.2. We can also try a couple different rounding factors. 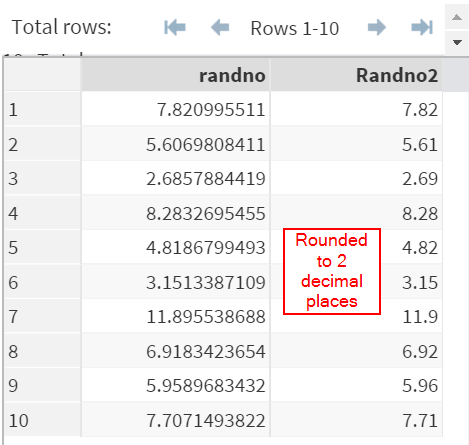 What if you just want to round it to 1 or 2 decimal places? 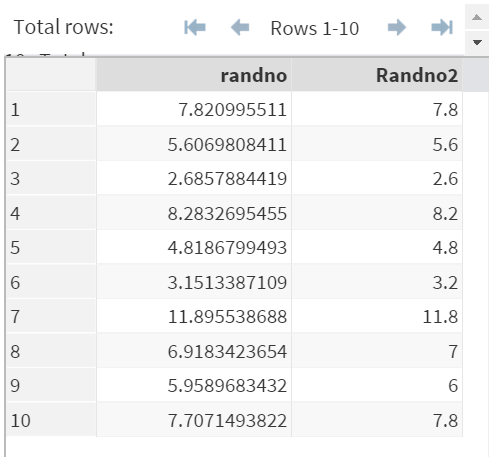 Set the rounding factor to 0.1 or 0.01.